At the very basic level, there are two types of keyboards in use on smartphones today: physical and virtual. Virtual keyboards, like that on the iPhone and popular Android devices, are generally more widespread while physical keyboards are more popular with people who prefer tactile feedback which is, of course, missing on virtual keyboards. We personally are big fans of the iPhone’s multi-touch virtual keyboard, but I know there are plenty of people who would jump to the opportunity to use a physical keyboard on their iPhone. A new project announced today caters to that very crowd. 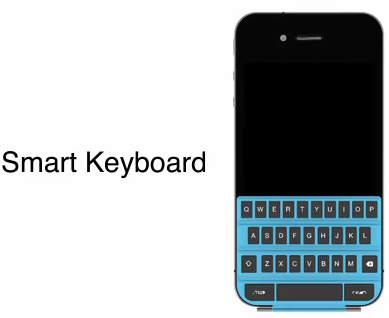 Designed by JIMY, this concept physical keyboard – which is called SmartKeyboard – offers many advantages over other aftermarket physical keyboards for the iPhone: by snapping on to the iPhone magnetically, much like the iPad 2 Smart Cover, it does not mess with the phone’s aesthetics. It is slim, sleek and is even LED backlit. SmartKeyboard even allows you to fold it and use it as a stand. Here is a revolution keyboard for iPhone, it’s the thinest physical keyboard, a great QWERT keyboard with LED backlit. This product is design and film by JIMY. 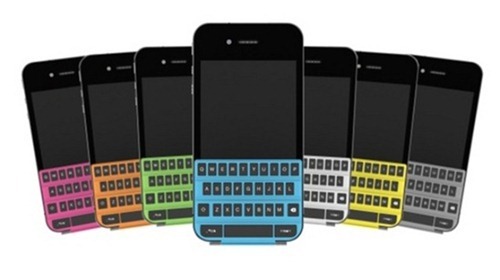 There are rumors of Apple readying an iPhone 5 which will have a physical keyboard. We don’t expect them to be true, though, as it is very, very unlikely for Apple to ever bring a physical keyboard to the iPhone or iPod touch. The fruit company strongly believes in touchscreens and, as a matter of fact, ex-CEO Steve Jobs categorically mentioned physical keyboards as one of the major factors that made pre-iPhone smartphones so hard to use. Slide-out keyboards like that one the Droid and Desire Z offer the best of both worlds, but at the price of added thickness, and unnecessary thickness is something Apple has never liked. Moving back to SmartKeyboard: it is a pretty neat idea, but it beats us how one would use the Home button to exit an app when the SmartKeyboard is covering it completely. You can see what we mean by looking at the video embedded below. Keep in mind that this is just a concept video and a concept product at this point. However, seeing all the positive feedback from the blogosphere makes us believe it will be realized very soon.